No Canadian “Charity” for the Israeli Military!! On June 9, the Jewish National Fund JNF Pacific Region is holding its Negev Gala Dinner. 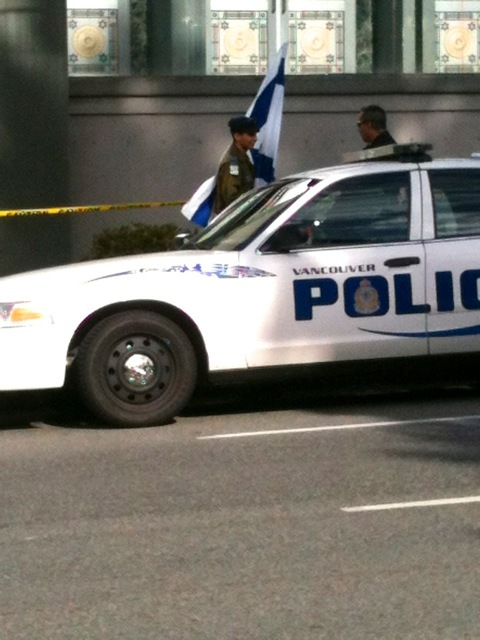 Palestinian supporters in Vancouver will be picketing the event to protest not only the JNF’s well-documented racist policies but also this year’s honourees, the “Israel Defense Forces”. It seems the JNF has given up on their attempts at greenwashing their ethnic cleansing of Palestinians and are now openly embracing Israeli military aggression. Lets mark the 65th anniversary of the Palestinian Nakba by protesting the JNF and the Canadian government’s refusal to even question the JNF’s charitable status, as revealed in recently released documents. The JNF is holding 2013 Negev Gala Dinners across Canada from June 2-Dec. 1st, where Canadian PM Harper will the honouree. 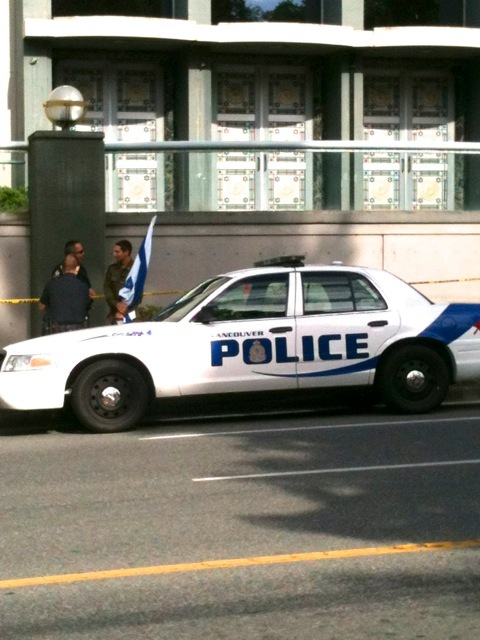 Videos of solidarity messages during the June 9 protest against the JNF in Vancouver, from Cynthia Taha, Khaled Barakat, Hanna Kawas, Martha Roth and Nino Pagliccia. Charlotte Kates’ photos of the protest on Facebook.